Pleasant Kids,Inc. (OTC: PLKD) announced that Next Group Holdings will have a campus kiosk at Florida International University ("FIU"), the 4th largest university in the United States with student enrollment in excess of 54,000 students. As the only mobile telecommunications provider with a campus kiosk, NEXT Mobile 360 mobile plans and services, including hands-on interaction with wireless voice, data, music and video services will be offered and available to the FIU student population. FIU houses more than 4,000 international students, from places as far-reaching as Columbia, Argentina, Mexico, and Brazil. 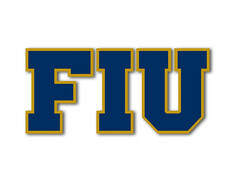 In further support of FIU, the Company has pledged financial contributions to FIU's athletic association and the Panther Scholarship Fund. Thanks for sharing. Interesting development, and the fact FIU Athletics gets some extra $$$ is good news indeed.